Variety is the Spice of Life — and the Classroom! “One size fits all?” Not in the world of education! Four faculty members from Western Michigan University Cooley Law School have put to rest any thoughts that any one single approach to teaching can bring success in the law school classroom. 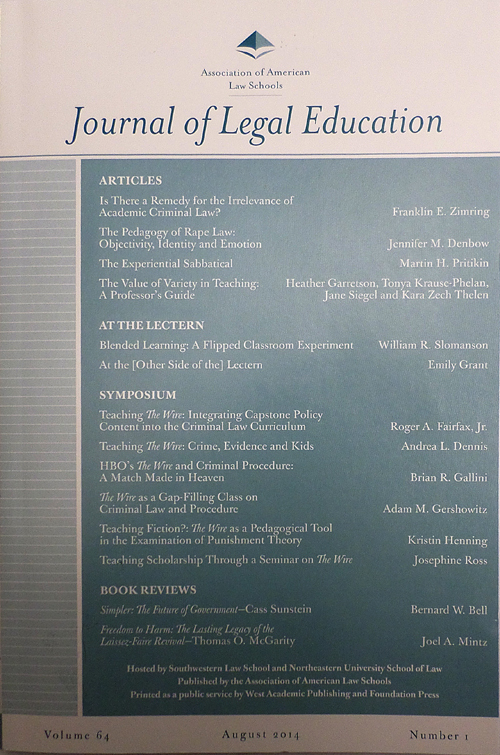 The Social Science Research Network published “The Value of Variety in Teaching: A Professor’s Guide” in the Journal of Legal Education (Vol. 64, No. 1) authored by WMU-Cooley faculty members Tonya L. Krause-Phelan, Kara Zech Thelen, and Heather Garretson, and former faculty member Jane Siegel. In the 28-page article, the professors show that the storied Socratic Method of teaching is just one of more than 80 ways law school faculty can use to get their message across. The professors created a practical, how-to guide, organized by skill so that it’s easy for readers to use. Teaching students with a variety of methods helps them both in the classroom and in their career, the professors explained. Just as they learned in a number of different ways in school, the students-turned-lawyers will find themselves having to use a number of alternative methods to convey important legal points to their clients, jurors, and even judges and opposing counsel. With the variety approach, students can draw both on the substantive material they learned and the different methods used to get the points across. Skills addressed in the helpful article are speaking, writing, concrete learning, organization, practice skills, comprehension, self-assessment, working together, professionalism, student participation, and student feedback. The article combines practical ideas with a bit of humor here and there. Readers are directed to help their students avoid ambiguity by taking on Medicaid eligibility rules. Which part is unclear? “Pick a provision by throwing a dart at the code,” the professors advised. The benefits of not starting an email with “hey” to illustrate professionalism in communication. We invite you to read this outstanding article and think you will enjoy learning what these experienced teachers have to say. One of the benefits of having an in-house expert on a complicated subject is that when the news is swirling with the latest development or deadline, you have a close-at-hand ally to make sense of it all. WMU-Cooley Law School has such an expert when it comes to the Affordable Care Act — Professor Lisa Sewell DeMoss, director of the school’s LL.M. program in Insurance Law. With the deadline to sign up for health insurance looming on Monday, Dec. 15, DeMoss has been much in demand as various media outlets seek out her expertise, explanations, and insight. 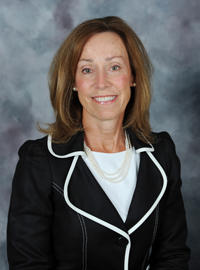 In addition to her work with WMU-Cooley’s popular insurance law program, DeMoss’ expertise also includes time as general counsel and corporate compliance officer for Blue Cross/Blue Shield of Michigan in Detroit. Most people must have coverage or pay a penalty. You may already be covered through your employer based plan, Medicare, Medicaid, CHIP, or other government sponsored plan, or you may be exempt from the coverage requirement. Each state offers several health plans that provide coverage at different price points corresponding to the enrollee’s cost sharing responsibilities for the health services incurred during each annual coverage period. Sought out for that insight, DeMoss’ latest contributions to the health care conversation include an extensive article on EmaxHealth, a feature interview on the program Inside Maine, on WGAN; a story on WWMT on the west side of Michigan , and a practical interview on Click on Detroit. Congratulations to Professor DeMoss for helping listeners and readers across the country make sense of this complicated subject. She has helped people wade through the politics and challenges, to understand the forces at play, and to understand what they need to do next on a matter of both personal and social importance.